What a huge city Istanbul is! 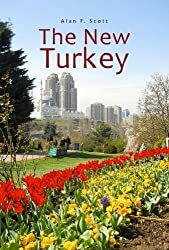 I have been reading, for two years now, about the flood of refugees fleeing the civil war in Syria – but I had assumed that they were all housed in tent cities erected by the Red Crescent and the Turkish government in towns in the south east near the border. How wrong I was! 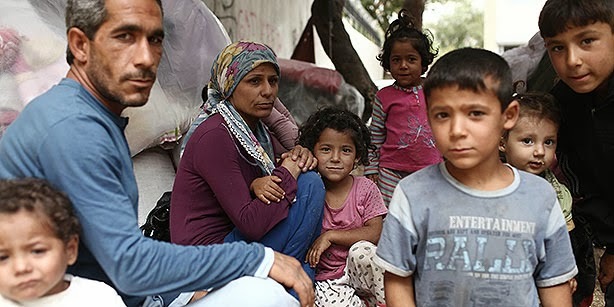 According to the following article in ‘Today’s Zaman’, there are now upwards of 100,000 homeless Syrians living in squalid conditions in the country’s largest metropolis, desperate to find work as Turkey’s developing economy struggles to absorb them. Abdurrahman is from Aleppo. He, his wife and the couple’s two young children have been sleeping in a park in İstanbul for the past few months. “The nights are no longer warm and winter is coming. We have to continue staying here until we find a place we can afford,” he says, gesturing toward Yenibosna Park, where the family is staying temporarily. Although they are bracing for the coming winter, Abdurrahman and his family count themselves lucky to have escaped the Syrian civil war, which has claimed more than 100,000 lives and produced more than 2 million refugees — most of whom have fled to Turkey, Iraq, Lebanon and Jordan — and more than 5 million displaced individuals inside Syria since its start two-and-a-half years ago. This entry was posted in human rights, Middle East, Muslim, Syria. Bookmark the permalink.